I used the story-telling method for part 2. Lifeway has an excellent blog on Bible storytelling that includes 6 steps of preparation for telling the story. I acted out parts of the story as I told it, and then had 2 props I brought out at the appropriate time. You always know when you have engaged your kids when they start to question things from the story. They wanted to know if you could really make bread with just oil and flour. I googled it, and sure enough, you can. Click here for the recipe. You have to add water too, but we know that the widow had access to water, because she was willing to get that for Elijah. How much oil did the widow have? How much flour did she have? Elijah's instructions in verse 13 are very specific. What does he tell the widow she is to do first? Who said the bowl would not run out of flour? 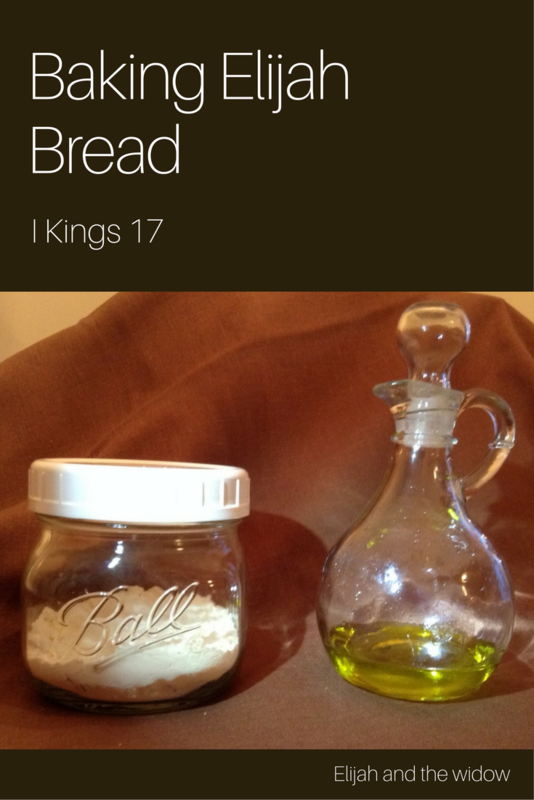 How long did God say the flour and oil would last?